Spring Break to take place from Friday, April 19 - 26! Santee Welcomes TK and Kindergarten Students for 2019-2020 School Year! Several families with prospective TK and kindergarten students visited Santee on Wednesday, February 13. Thank you to all who attended our Kindergarten Open House! 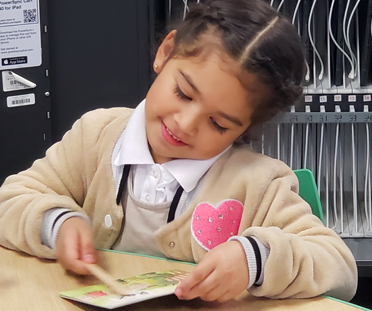 Families were given the opportunity to visit our three kindergarten classrooms where they learned how we incorporate technology, phonics, art, and the world in our teaching practices to prepare our students to become well-rounded citizens. If you missed the chance to attend, it is not too late to stop by and see all that it is that we love and adore about Santee. Please see the front office staff to pick up an application and coordinate a visit to our classrooms. We look forward to having your child at our school next year!